Mushroom Softech provides offshore software services at it dedicated Offshore Software Development Center in New Delhi, India. During our successful span of services in software industry, specially in international market, we have refined our approach to the complex issues of software outsourcing and software development that enables us to deliver high quality and cost-effective solutions to customers. Mushroom brings wide range of Software Services with expertise, skills and knowledge. Specialized in Custom Software Development, Web Development, Web Design, e-Business Solutions, Enterprise Application Development, Mobile Solutions. Mushroom has defined and documented software development process as per the guidelines of CMM & ISO. To ensure project on time and on budget we plan and implement Quality initiatives, key process and process parameters. To bring down total cost of ownership, Mushroom helps ISVs in Software Product Development. Our Software Product Development center offers product design and development, Product Testing, Product Maintenance, Support and Enhancement. 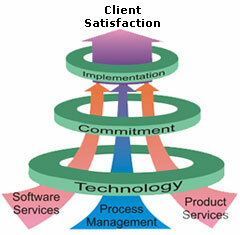 Mushroom Softech is committed to provide and deliver robust, scalable, and cost-effective software solutions. Our offshore development capabilities consist of most widely used technologies, meeting the needs of clients across many different industries. A highly experienced and top class team of professionals offer proven expertise to ensure the quality and reliability of the products we develop. Understanding the growing spread of Internet enabled business we design, build and deploy effective e-solutions that meet our client's specific business needs. The web applications we develop help reduce operational costs, improve workflow, and find cost-effective ways of carrying out business. Our systematic approach to understand the business vision, the current state of business and ability to meet the gap by applying web solutions makes our business solution distinctly unique. Mushroom has successfully completed projects in ASP, ASP.Net, VB for many clients with core businesses in different industries such as Hospitals, Schools, Colleges, Clubs, Hotels, Manufacturing Units, Trading Houses, and Human Resource organizations. Besides Web applications, we have also completed many interactive portal for Jobs, Matrimonial & Real Estate. Definite Success of business administration with our software products. Reduce up to 70% cost of Software development / maintenance. Provide High skills in business and technology domain. Unmatched services in outsourcing and offshore software development. Pool in highly educated, committed and honest IT professionals.